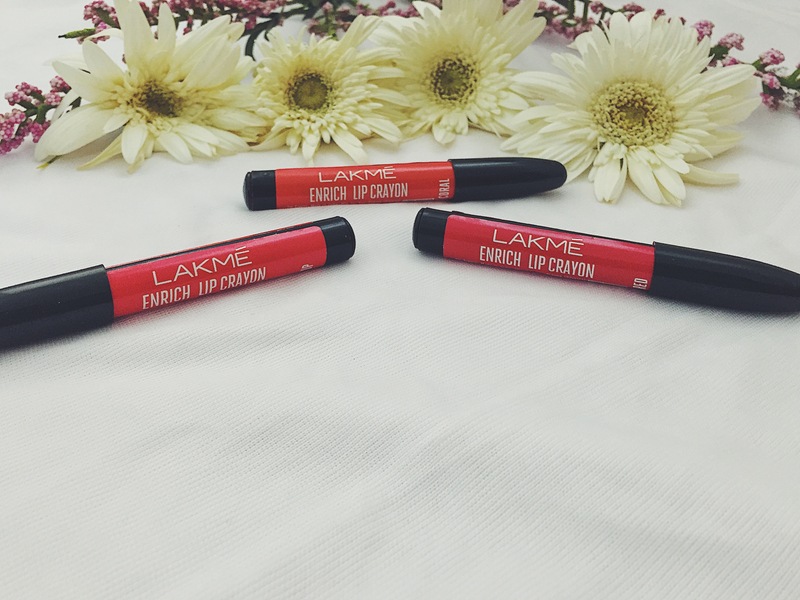 I received a message from my friend asking “Are the new Lakme crayons good? I really feel like buying them.” I was like “Whattt? ?” After exchanging some details, I got to know that it’s a new launch. As you may have anticipated, it didn’t take me long to lay my hands upon them. Without further adieu let’s get started . These lip crayons have a basic lightweight crayon packaging with a black cap. These are not twist up crayons, you have to sharpen them. The best part is, every single crayon comes with a free sharpener . I am surprised that brand like Lakme is offering a crayon at such an affordable rate, and giving away 2 in 1 sharpeners with every crayon. 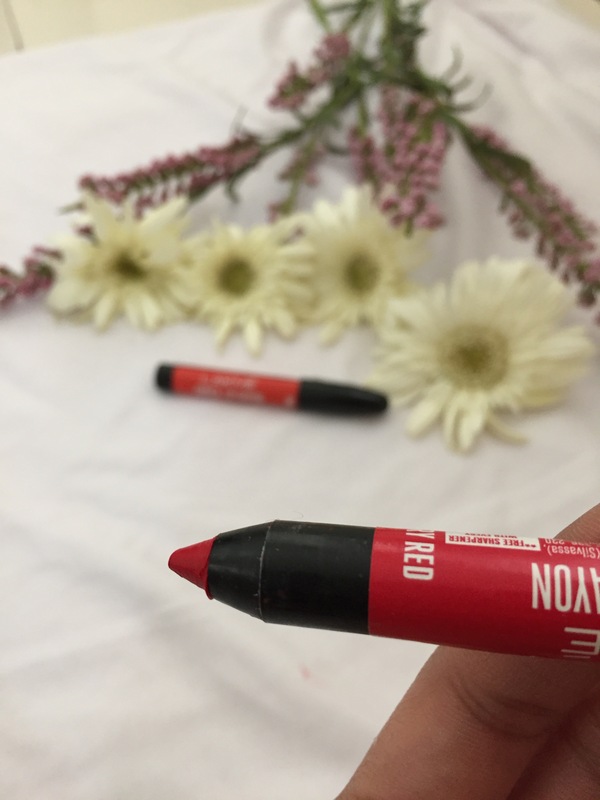 01 Berry Red – Is a beautiful true red shade. This is the signature bridal red shade of this collection .Its very pigmented and applies smoothly on the lips. This shade will suit literally every single skin tone. 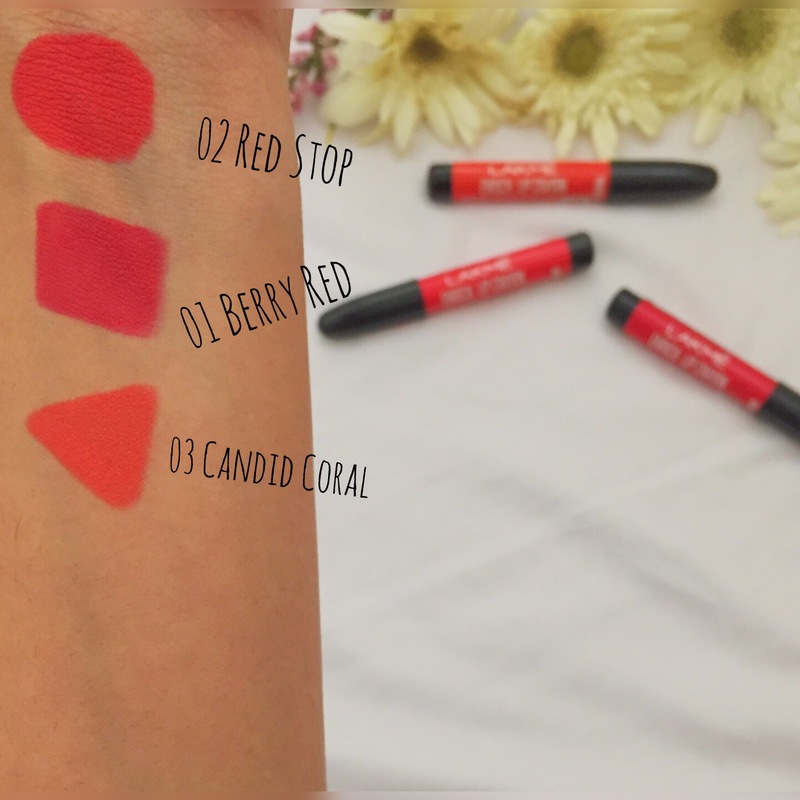 A total must have shade if you wear red lipsticks. 02 Red Stop – Is a brighter red than the previous shade. 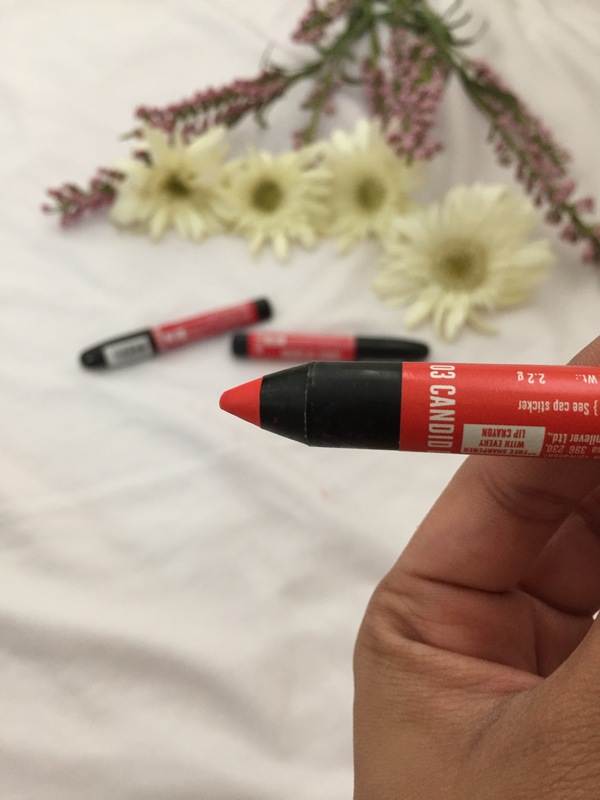 It has slight orange coral undertones .It’s very pigmented and glides on easily. 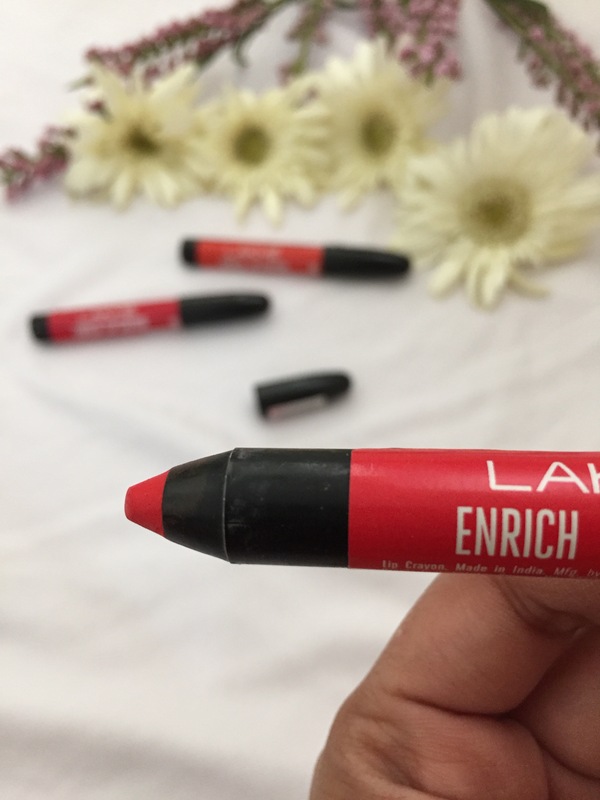 03 Candid Coral – Like the name suggests, its a beautiful bright orange shade. Coral shades look amazing during summers and you should totally check it out if you love corals. Its super pigmented and applies easily. • It is not water resistant . • It does smudge a bit . That’s all for today . See you soon with a new blog post .